Everything started in July 1993 when Marjory Vendramini, a Brazilian Christian missionary and her husband found out about a day-old baby who was found in a trash-can through an article at the newspaper. Since then, the government’s Social Institute started asking the Vendramini couple to care for more babies, emphasizing the desperate need for a home for abandoned children in Macau. In 1994, this vision was achieved when ‘Cradle of Hope’ home officially opened. 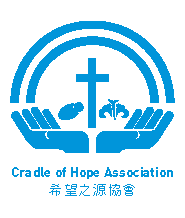 The Cradle of Hope Association is subsidized 70-80% by the government, and the rest of the funding comes from organizations and associations around Macau. The Cradle of Hope association has the responsibility over the lives of its children, and with this comes the challenge of preparing them for the reality of entering into society with equal opportunities in terms of employment and socialization. 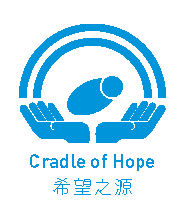 Cradle of Hope Home is located at Border Gate (Toi San) in a residential area. It is a two-floor facility licensed by Macau Social Welfare Department for children from o to 5 years old. In this facility, children are divided according to their age groups: Babies, Toddlers and Kindergarten. The facility also has a back yard to provide resident children the opportunity to have outdoor activities in a safe place. Cradle of Hope Home is able to shelter 35 children and has around 40 staff members. 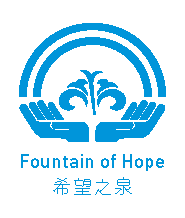 Fountain of Hope Home is located at Old Taipa Village, in Chun Fuk Village. It is a facility licensed by Macau Social Welfare Department for children from 6 to 18 years old. In this facility, children and teenagers are divided according to gender and age groups: Grace Home (big girls), Peace (Small Girls), Righteousness (Big boys) and Justice (Small boys). The facility has a library and a multi-functional room for training sessions, workshops and leisure activities. Fountain of Hope Home is able to shelter 40 children and teenagers and has around 30 staff members.